Acercarnos al público local ha sido esencial para nuestra cultura a lo largo de nuestra historia y nos esforzamos por hacer una diferencia positiva y duradera en nuestras comunidades. Perkins, una organización multifacética en progreso que está comprometida con mejorar la vida de las personas con ceguera y sordoceguera de todo el mundo. Boys and Girls Clubs of America, una organización nacional con sedes locales que ofrece programas postescolares para jóvenes. Susan G. Komen® 3-Day, un evento anual en el que miles de hombres y mujeres caminan 60 millas durante tres días para recaudar fondos para la investigación del cáncer de mamas. Fundación Mamonal, una organización que promueve y protege el desarrollo industrial y social en el parque industrial de Mamonal y en el área de la gran Cartagena. Read to a Child, una organización sin fines de lucro dedicada a aumentar el éxito en la vida de los niños al inspirar a los adultos para que les lean. Pan-Mass Challenge, una carrera anual de bicicletas que cruza Massachusetts, EE. UU. para recaudar fondos para salvar vidas por medio de la investigación y tratamiento del cáncer en el instituto oncológico Dana-Farber (Cancer Institute Dana-Farber). Desde enero de 2013 hasta mayo de 2014, invertimos casi 2 millones de dólares en contribuciones caritativas mediante dinero en efectivo y donaciones en especie. Conozca más acerca de la Fundación de la Corporación Cabot (Cabot Corporation Foundation, Inc.) y sobre cómo nuestras contribuciones filantrópicas y caritativas están mejorando las comunidades en las que vivimos y operamos. The Cabot Foundation has proudly served as the first corporate sponsor for the New England Aquarium’s ClimaTeens program, recognized with a 2016 Community Service Award from Youth Climate Action Network, and a 2015 Community Leadership Award from Greenovate Boston, which has been engaging teenagers on the topics of climate change and ocean conservation since 2013. This year-long teen empowerment and education program attracts approximately 40 teenage students each year with a desire to learn more about these important topics. As part of the program, students design projects to inspire public audiences, particularly their peers, to take action in contributing to a more sustainable future. In 2017, a group of Boston and Billerica employees from different disciplines attended the students’ final presentations of their projects to show their support and offer advice on career choices in STEM fields to a highly motivated group of students eager to make a positive impact. 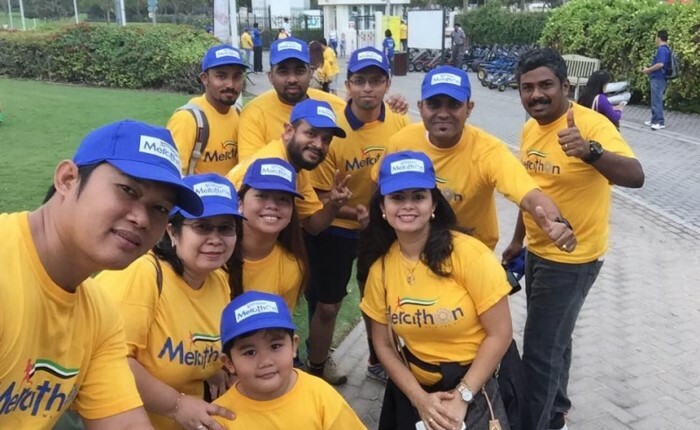 In February 2017, representatives from each department of our Dubai, United Arab Emirates (UAE), facility took part in the Walk for Hope, a walkathon dedicated to raising funds for cancer patients from Pakistan, Syria, Philippines, India, Morocco and Lebanon. The event was supported by the UAE Red Crescent and Dubai municipality, and our colleagues were proud to be well-represented among several other companies operating in the area. Cabot employees in Haverhill volunteered on a weekly basis with the Merrimack Valley Hope Mission to provide meals for those in need. Our inkjet site in Haverhill, Massachusetts, USA, became actively engaged with an outreach program that reaches impoverished and homeless members of the community. 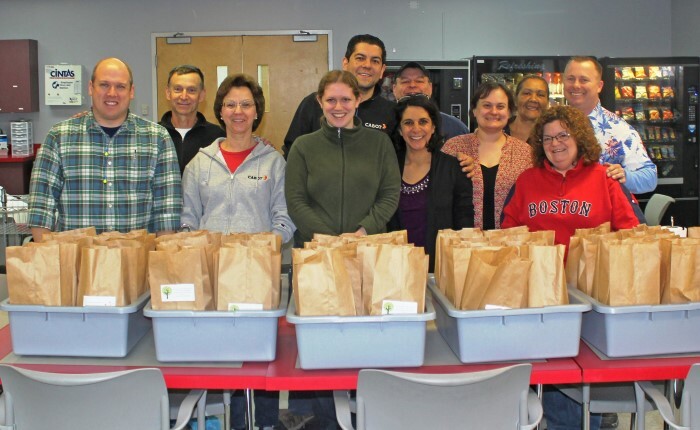 The Merrimack Valley Hope Mission is a nonprofit organization that helps feed hungry people in the area, and our colleagues graciously volunteered with the organization across 12 different Fridays in 2017 to support this cause. The facility purchased supplies which employees used to prepare and distribute bagged lunches to individuals in the downtown area or in shelters. Our colleagues were pleased to lend their helping hands to those in need in the surrounding Haverhill community. In 2017, our Specialty Fluids facility in Aberdeen, Scotland, partnered with AbSafe, a charitable organization dedicated to providing children with safety education, for a Safety Day at our facility. Local employees were so inspired by AbSafe’s program that many underwent training to help the organization facilitate safety training sessions for children at local schools. 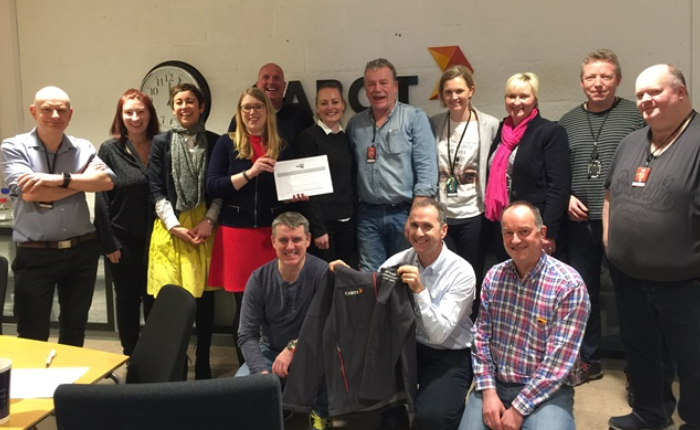 AbSafe’s mission resonates deeply with Cabot’s commitment to safety. This charitable organization educates children on the fundamentals of personal safety through interactive and engaging lessons about everyday hazards. Topics covered include home and fire safety, drug abuse, cyberbullying, internet safety and more. To further support AbSafe in its mission following the educational trainings, the Cabot Foundation helped fund the development of water safety as a new subject covered in the program. This mutually beneficial partnership has allowed us to promote the importance of safety not only to our employees, but to the community at large. 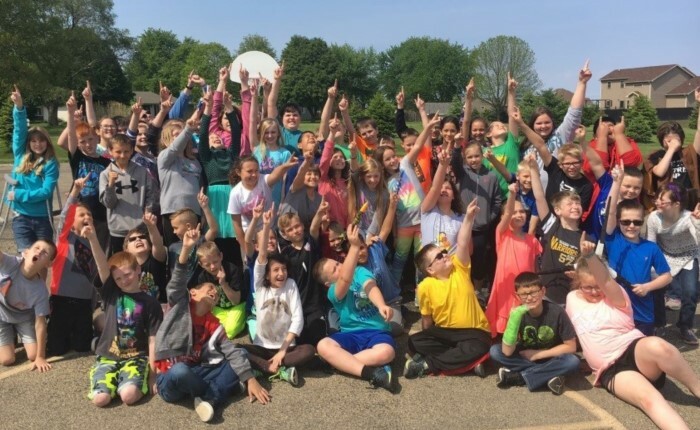 Employees from Tuscola, Illinois, USA, joined forces with local schools and visited third through eighth grade classrooms to facilitate STEM demonstrations. Some of the projects included building protective egg baskets, building rockets and creating a human energy circuit. In addition, employees participated in a collection drive for supplies that could be used for science experiments within the classrooms. With their help, every item on the wish lists of STEM supplies was collected and provided to local schools. Many employees at our Cartagena, Colombia, facility participated in Mamonal Foundation projects in 2017. 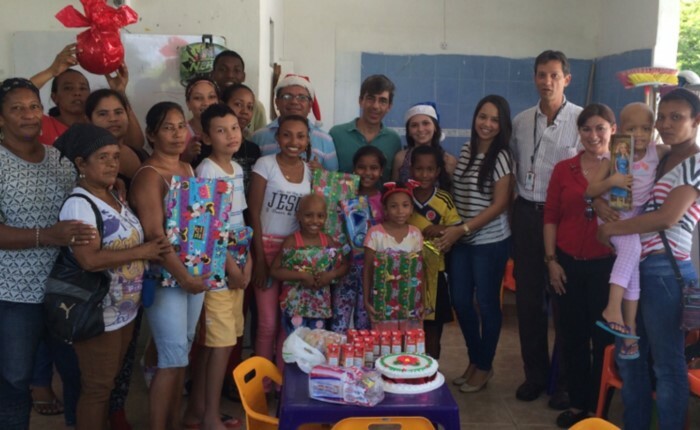 This foundation funds a multitude of community projects with a focus on raising the quality of life, generating economic prosperity in the community and reducing the inequality gap in the population of Cartagena and surrounding areas. We were one of the founding companies of the Mamonal Foundation in Cartagena in 1975, and our Regional General Manager and Colombia Country Manager, Guillermo del Castillo, serves as the chairman. One way the Cartagena site contributed in a meaningful way was through the sponsorship of the Boomerang Scholarship project, through which bilingual technology scholarships were awarded to 12 low-income students with outstanding academic performance. In addition, 90% of the employees made voluntary donations that were matched by the facility to support the development of a children's daycare center for a nearby community in need. 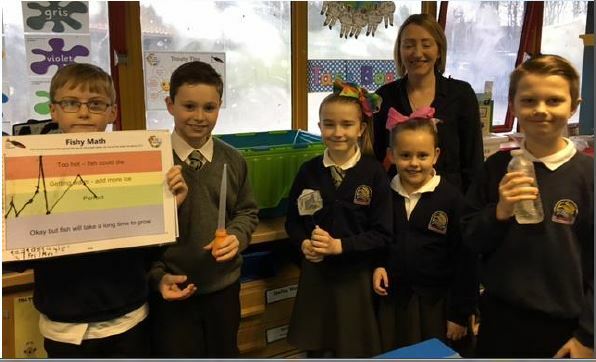 Employees at our Glasgow, Scotland, facility sponsored two elementary school classes to participate in Clyde in the Classroom, a hands-on project that uses a native Scottish species, the brown trout, to promote awareness of river ecology among youth from the Clyde River area. 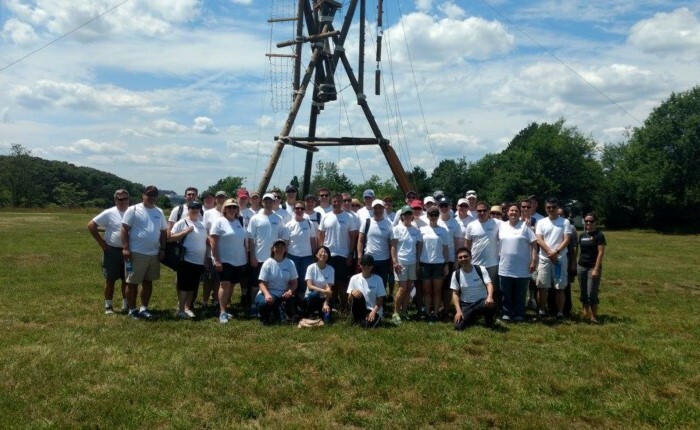 Employees in Boston, Massachusetts, USA, participated in a cleanup day and a 4K trail run to support the Thompson Island Outward Bound Education Center. The center provides adventurous and challenging experiential learning programs that inspire character development, compassion, community service, environmental responsibility and academic achievement for students in communities of greater metropolitan Boston. As a result of our efforts, Thompson Island was better prepared to host thousands of Boston Public School children over the summer. Vea nuestro último informe actualizado para obtener información sobre nuestro progreso y objetivos. Somos apasionados, colaboradores e innovadores. Obtenga más información sobre Cabot.